Harlem's famed Apollo Theater has occupied its space on West 125th Street in New York for almost a century and has hosted a slew of music's giants, helping launch the careers of James Brown, the Jackson 5, Diana Ross, Stevie Wonder and more. 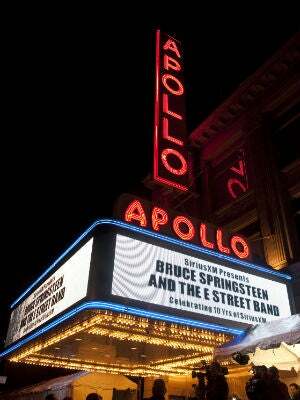 The Apollo Theater's storied history doesn't reside just on its stage. The ornate and intricate architecture is one of the theater's most beloved features. And with the help of Partners in Preservation, the Apollo Theater hopes to save the building's historic look. From now until May 21, fans of the Apollo can log on to PIP's website to vote for the Harlem theater, which is in the running, alongside other historic New York buildings, to win $200,000 in preservation funding. To promote its involvement in the competition, the Apollo held an open house on May 5 and May 6 from 10 a.m. to 5 p.m. showcase the theater's rich history. Previous recommendation: Kehinde Wiley Takes on Women in New Portraits.